I will go into details of supplemental feeding year-round and also during the winter. 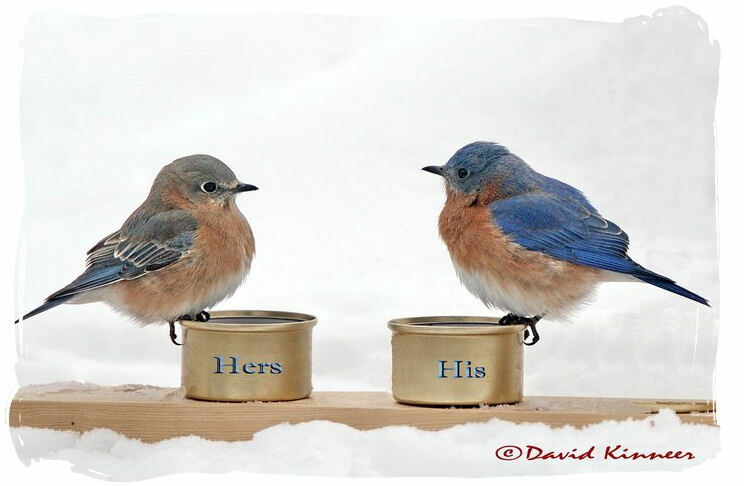 I will add in some good suet recipes, the how-to’s of mealworm feeding, and more. 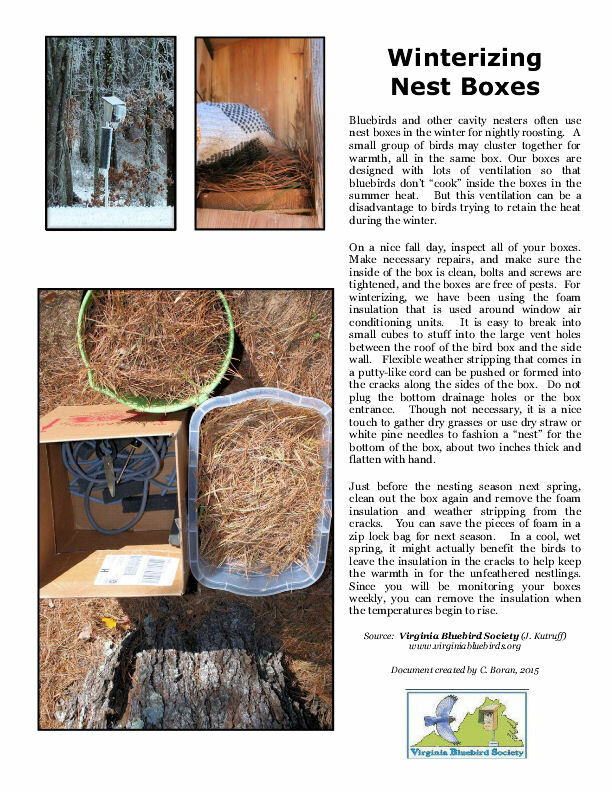 I will post photos of the supplies of winterizing nesting boxes for warmer roosting winter months for all the native birds to use to stay warm at night. Stay tuned. HERE IS A FUN, BOUNCY, GOSPEL-SOUND CLIP SUNG-INTERPRETED BY MIKE “Bo” BORAN (Michael Rand Music). That’s me at the beginning on the “Oh Yeah!” and in the female backup throughout. Hope you like it! 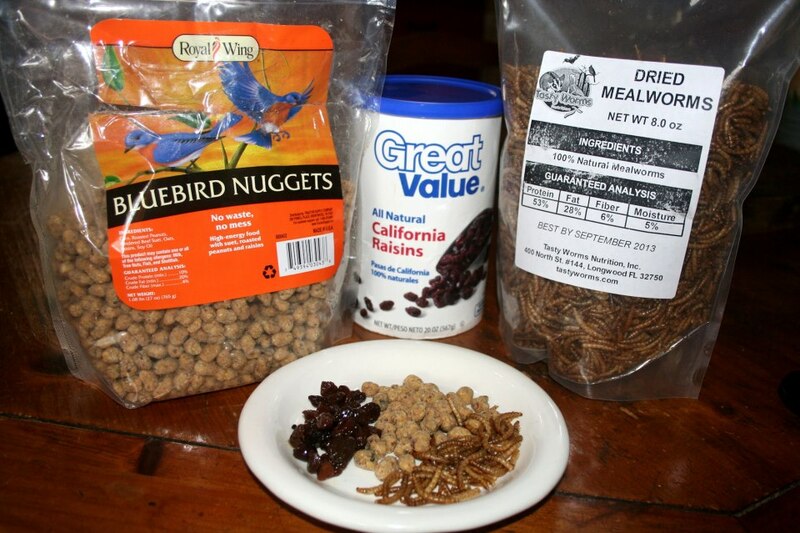 I like to mix dried (or roasted) mealworms with soaked cut-up raisins and “bluebird nuggets”. Suggestion on this feeder: It is rather lightweight. 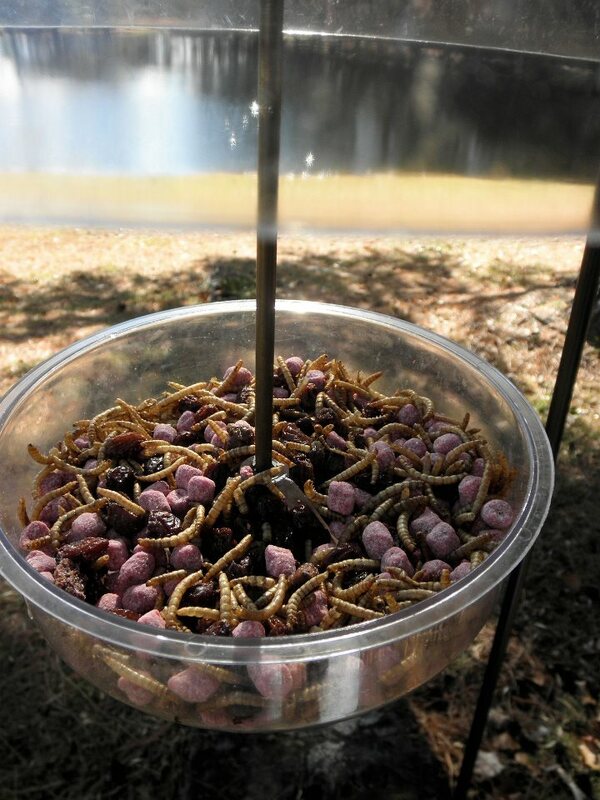 If you put freeze-dried mealworms in this, take it down in high winds as all the dried mealworms will fly out. 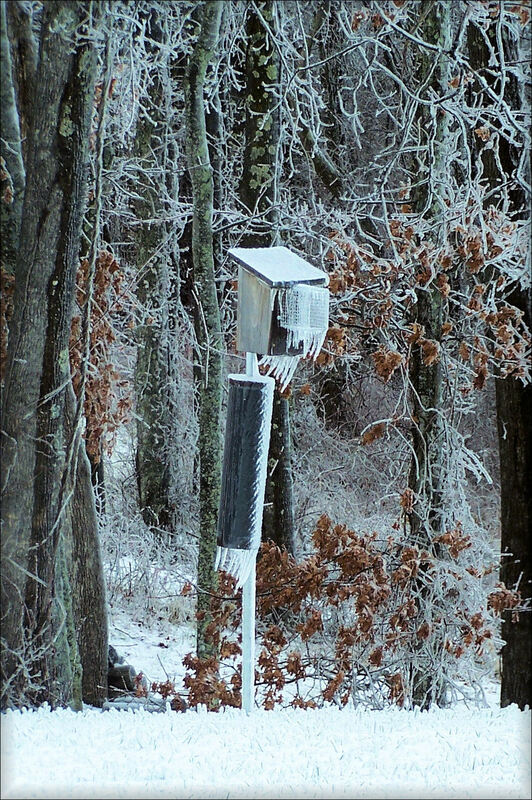 This feeder will rock back and forth in winds. 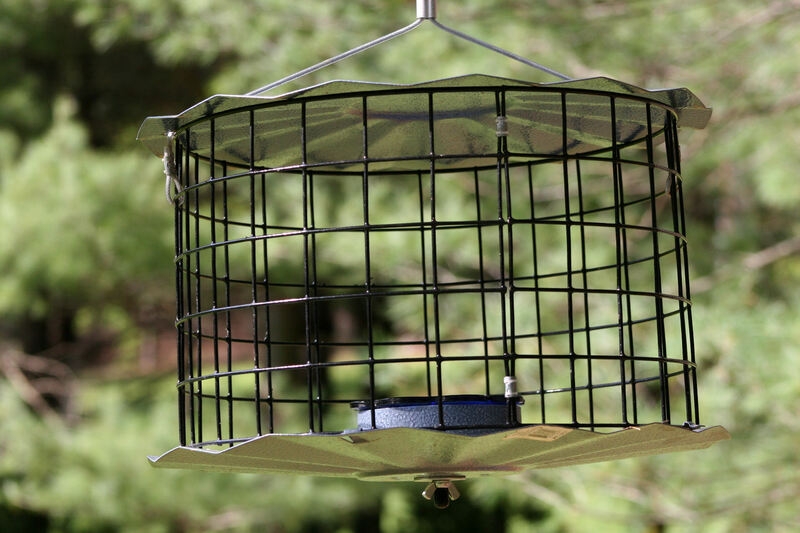 You also have the option to pole-mount this feeder which keeps it more stable. Since I have other stake-type feeders, I keep this as a hanging feeder. I like to move it around from tree to tree using a very large decorative tree-branch S-style hook designed for tree branches. If a raccoon knocks this down, more than likely, it cannot drag it off due to the size. Also the metal top keeps the glass cup of food dry and is somewhat difficult for a raccoon to pry it open. I hear crows quite a bit coming and going by our house, so I know they can’t get inside this. The ice pretty much covered everything, including the stovepipe baffle and the Noel guard. Photo by K. Hale, Floyd County, VA. 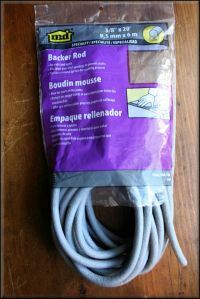 Some winterizing material to plug up the nestbox vents. Gina, I will reply in length after December 25th. Thx! Apologies….I never replied to you. Yes, I soak all my raisins and currants. I boil the water, and then take them off boiling and let the dried fruit soak in that for about 5 minutes, drain, and dry on towels, and keep in the fridge. 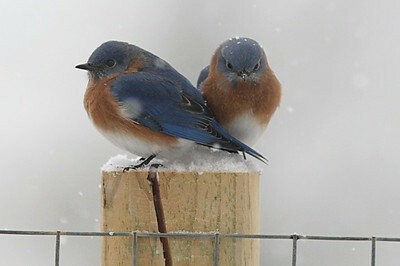 Sometimes raisins can be too large for smaller birds–so they can be cut in half. Currants, more expensive and harder to find, are nice and small. I prefer to use those, if I can get them. Where did you get your mansion? Did you make it yourself? Let me know how it goes this year with a two-holer. Best wishes.